However, this new accessory might be the right fit for all us smartphone lovers. HP launched a pocket printer specifically built for smartphones. While smartphone sales on a rise, there are rarely any accessory that really compliments the device. Wearables are to some extent useful but the segment seems to be struggling to find an audience. However, this new accessory might be the right fit for all us smartphone lovers. HP launched a pocket printer specifically built for smartphones. A pocket size photo printer called Sprocket launched at a price of Rs 8,999. Though the budget is as high as most Polaroid cameras in the market, its compatibility with smartphones is clearly a big USP. The hand-held printer produced 2x3 inches which also corresponds with the default aspect ratio on most smartphones. This handheld device has the potential to create a new product segment that can really do well in a country like India which is obsessed with smartphone and selfies. "The device is especially made for the millennial segment which is between age 10-24. But we are not restricting our target to that age group only. 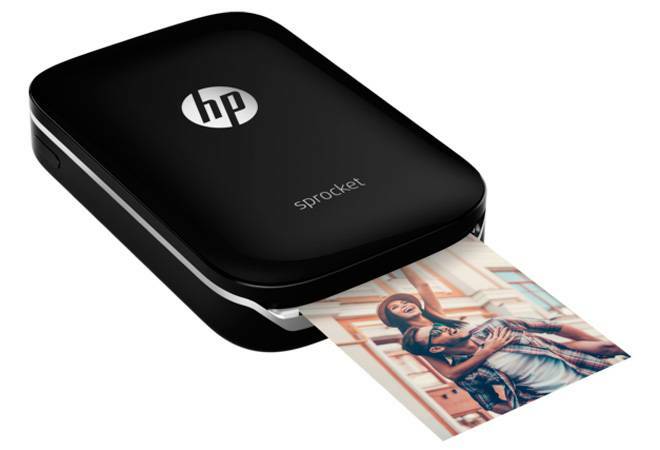 People who like to preserve their memories would like to own the 'Sprocket' which is a pretty affordable device," Raj Kumar Rishi, Senior Director, Printing Systems, HP Inc India, told IANS. "'Sprocket' printer allows users print their treasured memories instantly on-the go with just a few taps", Rishi added. Users will have to download the official Sprocket app from Apple's App Store and Google's Play store. To use the device, one will have to connect it to a smartphone using bluetooth. HP is also selling HP Zink papers that can be used with the device. The device can be purchased via Amazon India's website which is currently available in three colours: Red, Black and White.